Word choice is important to consider when you are writing because you want to make sure your message is getting across clearly to your readers. However, all that hard work picking just the right words might all go to waste with a poor choice in end-of-sentence punctuation. Some questions in the SAT Writing will focus on sentence mechanics, including how best to punctuate the end of a sentence. You may know most of these already, but there are a couple of tricky ones, so it’s worth your time to review them. As the classic way to end a sentence, a period is almost always an appropriate choice. Periods end thoughts cleanly and allow your writing to clearly move from one idea to the next. They are the best choices for statements of fact and conclusion sentences. The SAT rarely misuses periods, but it might provide a better or more effective option using another form of end-of-sentence punctuation. Example 1: Breakfast food is delicious at any time of day. These punctuation marks should be used rarely and only when the sentence they conclude conveys strong emotion of some kind. Exclamation points are rarely used in passages on the SAT, as they tend to be better suited to informal writing. Only pick an answer that includes an exclamation point if you have a solid reason to use that over any other punctuation option. Example 2: The sky is falling! Perhaps the simplest end-of-sentence punctuation to understand is the question mark. The only sentences that should end with question marks are, not surprisingly, questions. Some questions can be deceptively long, so make sure you read the entire sentence to decide if it is asking something or not. Keep an eye out for the five W’s (who, what, when, where, why) at the beginning of clauses. These, the word “how”, and forms of the verbs “to be” and “to have” are all great indicators that a clause is acting as a question. Example 3: Are you sitting comfortably? 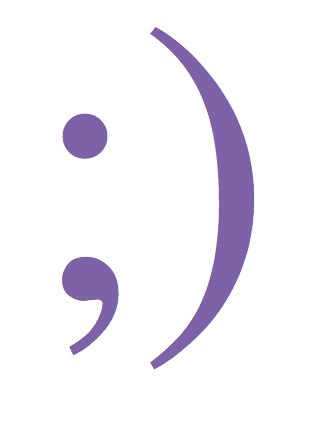 There are a couple of different ways to use semicolons–and not just to make a winky emoticon! One way is at the end of sentences or, perhaps more accurately, between sentences. The clauses on both sides of the semicolon must stand alone as independent thoughts. So what’s the difference between a period and a semicolon? It’s all in the context of the writing. Usually, a period is fine. However, if two sentences address the same topic and a period might be a harsh break in the flow of ideas, a semicolon might be a better choice. Example 4: The weather team issued a warning to stay indoors. Terrible storms were sweeping through the county. The sentences above are fine as they are, but we can create a smoother transition using a semicolon. Example 4 (revised): The weather team issued a warning to stay indoors; terrible storms were sweeping through the county. Notice that the first letter of the second sentence is not capitalized after a semicolon. This allows the two sentences to flow together almost seamlessly. The last end-of-sentence punctuation you are likely to run into on the SAT Writing is the colon. It is the rarest of them all and many people feel uncomfortable using colons. This type of punctuation is often associated with lists, but colons can also be used between sentences. 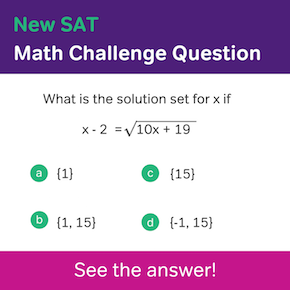 On the SAT, colons are often given as alternatives to periods or semicolons in answer choices. However, a colon is only ever the best choice if the sentence that follows it explains, paraphrases, or clarifies the one that comes before. Example 5: I hate broccoli. It’s bitter and makes everything else taste bad. The second sentence explains why this poor writer hates broccoli, so we can use a colon between these sentences. Example 5 (revised): I hate broccoli: it’s bitter and makes everything else taste bad. 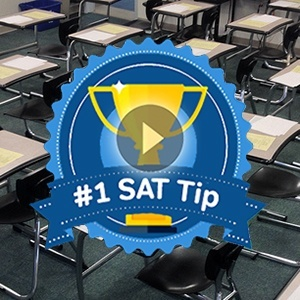 The clause after the colon isn’t capitalized on the SAT, although there is some debate over that rule by grammar experts. So, there you have it: the five types of end-of-sentence punctuation you may encounter on the SAT Writing. Not so bad, right? Now that you know how to spot whether they’re being used correctly, you can use them to elevate your own writing. Happy punctuating!